2: Prevent 1 damage to any target. Among the first allies Urza gained were the people of Kroog. 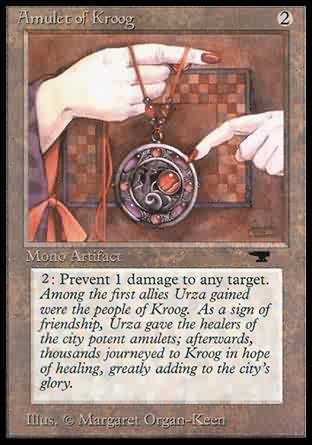 As a sign of friendship, Urza gave the healers of the city potent amulets; afterwards, thousands journeyed to Kroog in hope of healing, greatly adding to the city's glory.